First performed in 1900, Puccini’s grand melodrama of lust and violence in Napoleonic Rome continues to excite audiences more than a century after its premiere. 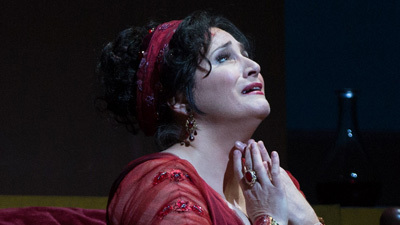 This was never more the case than when soprano Anna Netrebko, one of her generation’s most captivating artists, made her role debut as the title character during the Met’s 2017–18 season. 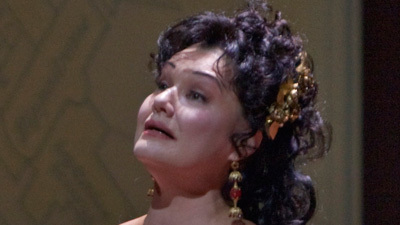 In this broadcast, Netrebko stars as the titular diva, opposite her real-life husband, tenor Yusif Eyvazov, as the ardent and idealistic painter Mario Cavaradossi. Baritone Michael Volle is the unrelenting chief of police Scarpia, and Maestro Bertrand de Billy conducts one of opera’s most exhilarating scores.